Q: I’ve been tired all the time lately. I have a lot of stuff going on with my job right now and its hard being exhausted all the time. Coffee makes me jittery, so I don’t know if there is anything else that can help with energy. A: It sounds like you have a lot of stress with your job, which doesn’t help since stress and lack of energy go hand in hand. It’s a terrible cycle- you’re stressed at work and have a hard time sleeping, which leads to not getting enough sleep at night so you’re tired all day- then the cycle repeats. There are a number of things which can help with reducing stress and enhancing energy. Stretching or doing a few yoga poSes in the morning can help to encourage blood flow, making you feel more alert. 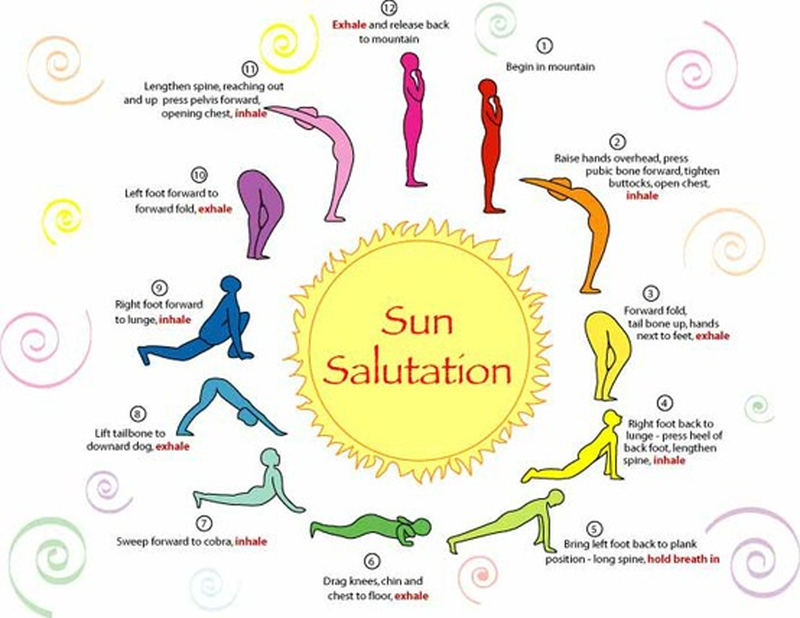 The sun salutation is a series of movements which is great for helping to feel more awake in the mornings (here's a video). Finding time to exercise during the day can also help with energy, as well as encouraging restful sleep at night, as long as you aren’t exercising too close to bedtime. It can be difficult starting an exercise regimen, especially when you feel tired, but even making time for a 15 minute walk can help to give you an energy boost and clear your head. A University of Georgia study found that sedentary people who regularly complain of fatigue can increase their energy levels by 20 percent and decrease their fatigue by 65 percent by engaging in regular, low intensity exercise. Exercise has also been proven as an effective stress relief. It may be a good idea to evaluate your diet as well. Truly, we are what we eat. Refined grains (think anything “white”- white flour, white bread, white rice), processed packaged foods, artificial sweeteners, and excess sugars (especially high fructose corn syrup) all take a toll on energy levels as well as our physical and mental health. Switching to a diet full of whole grains, fruits and vegetables, and legumes can help to provide more stable energy levels and blood sugar. There are many cookbooks and websites with delicious and easy healthy recipes. There are also a number of supplements that are very effective for increasing energy and relieving stress. One of my favorites is panax ginseng (also known as Asian ginseng) which has been used for thousands of years in traditional Chinese medicine. Ginseng is known as an adaptogen which means it is able to help the body to better “adapt” to stress. Ginseng has a number of beneficial uses, one of the most well known is for combating fatigue. It’s best taken in the morning on an empty stomach since herbs are generally more effective when taken without food. Other ideas which can help with low energy are supplementing with extra B vitamins via a quality B complex or a multivitamin with high levels of B vitamins. Many Americans have diets low in B vitamins, and one of the symptoms of a deficiency in any one of several B vitamins is fatigue. Aromatherapy is another idea. Citrus and peppermint oils have been used for many years energy. One recent study at Wheeling Jesuit University even found that dabbing peppermint oil inside a car can increase driver alertness; in fact, citrus oils are frequently used in Japan to help data entry workers to increase productivity. Getting a good night’s sleep is crucial for proper energy levels during the day. Unfortunately when under stress, many find it difficult to fall asleep, even when they’ve been tired all day. In situations like these, supplementing with relaxing herbs like valerian, passionflower, and hops can be especially effective in helping one to relax enough to be able to sleep. The above herbs also help with quieting racing thoughts, which is helpful for people who lay down to sleep and feel like they can’t “turn off their brains”. Journaling before bed can also help with sleep, and many people find writing out their thoughts of the day is a therapeutic release. Another idea, which I read in an article on a few months ago, is to count backwards from 300 by 3’s. The article reasoned that it was complex enough to keep your mind from wandering elsewhere but monotonous enough to help with falling asleep. I’ve been doing it occasionally when I’ve woken in the middle of the night and think it really does help.